We’re starting the summer off with a bang! 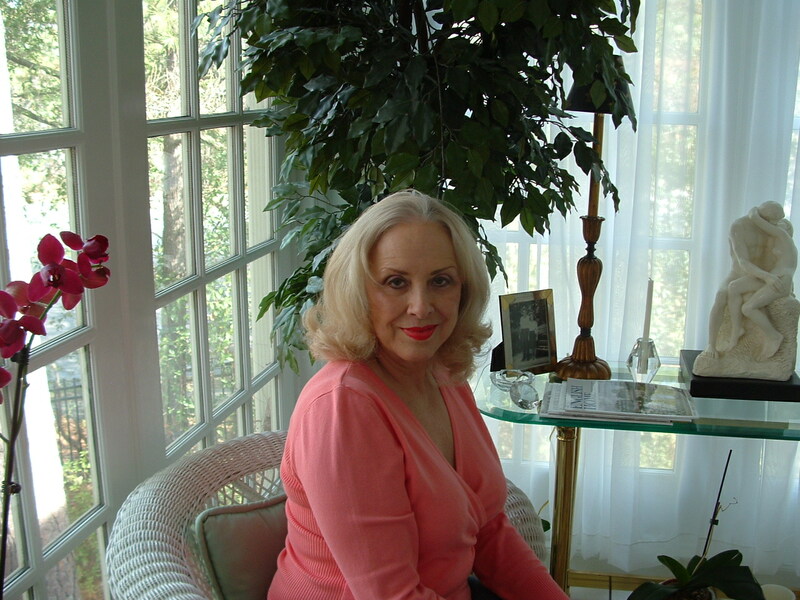 Award winning author Betty Vaughn offers the first of her four book series, Run, Cissy, Run, FREE for Kindle. This offer will start Thursday, June 1, 2017 and run through Monday, June 5, 2017. If you like this book, you’ll LOVE her other three: Man in the Chimney, Turbulent Waters and The Intrepid Mill LaRoque. Your free download is as simple as searching Run, Cissy, Run on Amazon and downloading it for your Kindle. You would think Cecilia LaRoque has it all: a loving father, wealth, beauty, social position and a devoted suitor. She doesn’t. Crushed by a cold and critical mother who soon absconds to live with a dissolute lover, ‘Cissy’ struggles to prove herself worthy of love and respect. She could not have foreseen in her teenage years that the genteel and privileged life she had led would come to a crashing halt with the outbreak of Civil War, a bitter struggle that would tear her world apart. Despite the hardships and inherent danger, she seizes the opportunity to forge an unorthodox role for herself as a spy. 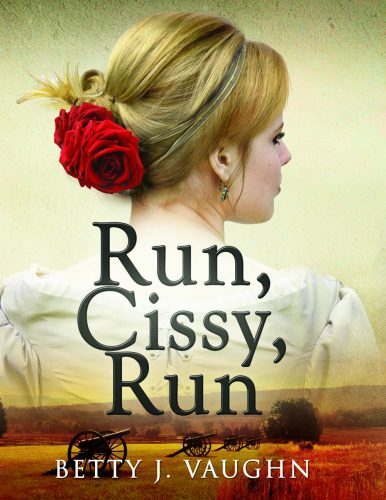 Run, Cissy, Run is the 2013 award winner for historical fiction from the North Carolina Society of Historians. Don’t miss out on this great offer and stay tuned weekly for more free books. 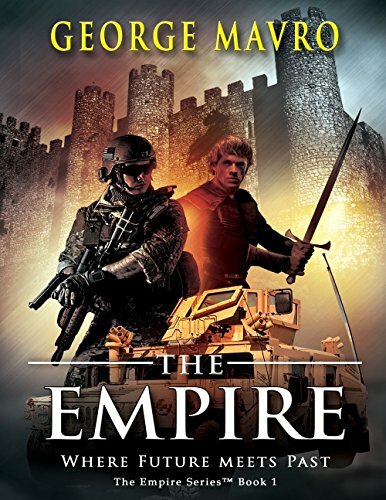 Can the USAF Airman lost in time save themselves and their adopted Byzantine homeland save themselves from the wrath of the Ottoman Empire? Chased by the Taliban the survivors of a US convoy take shelter in am old mine,, They are soon trapped inside when a suicide bomber blows up the entrance. looking for a way out they travel deeper into the mine and find a abandoned Soviet base. Turning on the power the began a countdown that sends them over 500 years back in time to just before the siege of Constantinople. Can they influence events and make a life in this new world? 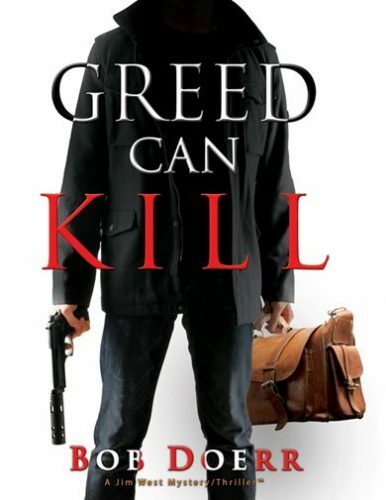 The latest Jim West book, Greed Can Kill, hits shelves. Jim West goes on his next case, a hunt for a missing briefcase. In the latest installment of the Jim West series, Jim receives a letter from a dead man which leads West on a reluctant hunt for a missing briefcase. He soon discovers that both the FBI and a Mexican cartel expect him to the find it for them or die trying. You won't be disappointed in this latest mystery! Larry and Carolyn share their book, Dishonored and Forgotten, with Donna Seebo. In 1953 the Houston Police Department was enmeshed in a narcotics scandal, its first. Before it was over, a detective was dead of two gunshot wounds to the heart. It was ruled a suicide. A federal agent came to town to investigate, sending two other people to prison. The police chief lost his job, a captain was fired and the department was in turmoil. 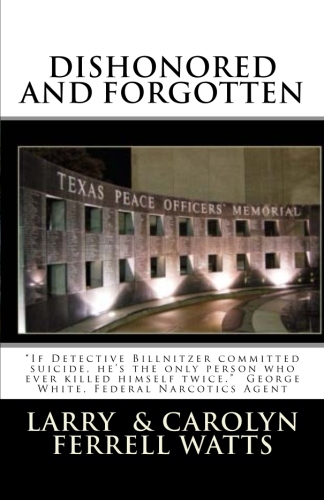 This is a fictional account of those events and more. The Prodigal hits the shelves telling the story of a 19th century sea adventure in the tradition of Defoe and Sabatini. 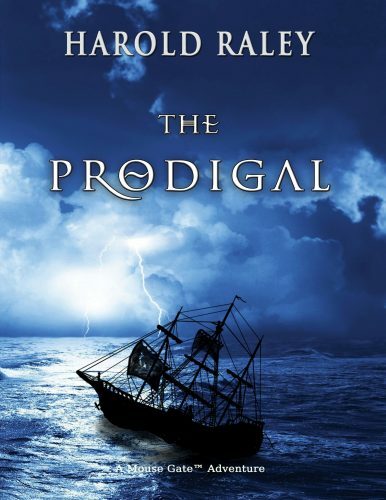 In the seafaring tradition of Defoe and Sabatini, The Prodigal is a tale of the shipwreck and struggle for survival of a young American ship’s carpenter who escapes one captivity only to fall into more dangerous circumstances. 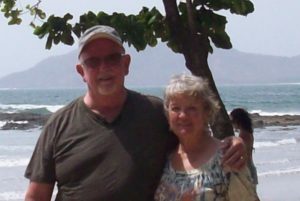 The story unfolds as he makes his way to Boston, then to Jamaica, Mexico, Cuba, Africa, and back with adventures at each point. At critical moments a mysterious stranger appears to lend a hand and guide him to his destiny. Lose yourself in this seafaring adventure. Look for "Greed Can Kill" at Amazon, other online bookstores, and select brick and mortar bookstores beginning in early March 2017. 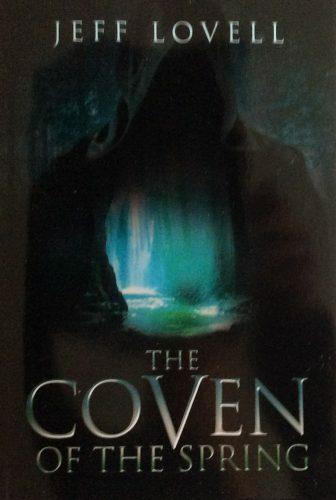 Author Bob Doerr has won a number of awards for his previous six books in his Jim West series and readers will find this one right up among his best. This suspense filled story takes Jim to Fabens, TX, Cloudcroft, Chloride and Truth or Consequences, NM, in search of a briefcase that is filled with something that a Mexican drug cartel has and will kill for, and the FBI is willing to stick Jim's neck out to find. With plenty of action and a touch of humor and romance, this is a book many will find hard to put down! New, fast paced mystery, titled "Greed Can Kill" will be available in early March. 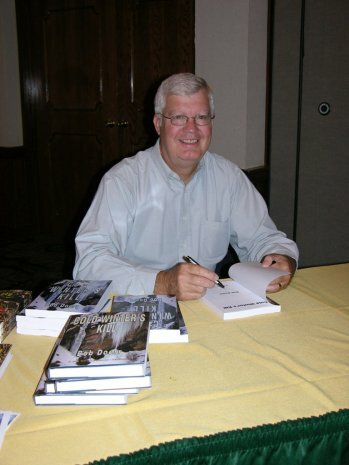 Award winning author, JEFF LOVELL, will be at BARNES AND NOBLE in Geneva Commoms in Geneva, IL, at an author event supporting Mooseheart residential facility. 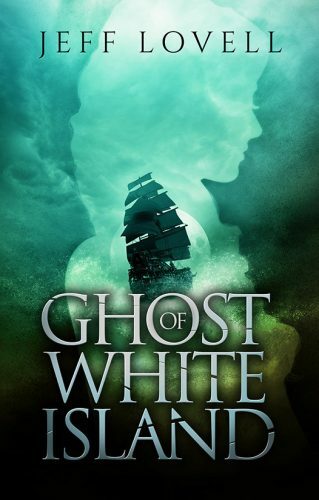 ‘Ghost of White Island’, by award winning author Jeff Lovell, is now available. Still reported to be seen today, the ghost of White Island is a mystery dating back to the days when pirates ruled along the Atlantic coastline. What is the story behind her appearances? The story begins in1715 when a pirate captures a ship, forcing the captain's young daughter into marriage. He abandons her on a desolate island, pregnant and alone, with instructions to guard his treasure. Years later, four young people aware of the existence of another ancient treasure hidden there, journey to these islands off the coast of New Hampshire to uncover the secrets from long ago. Not only do they endure many struggles to locate the treasure, but they must also contend with terrorists who are determined to locate the pirate stash to finance their evil plans. January14 our Mouse Gate books will be at the Barnes and Noble store in Geneva Commons, Geneva, IL, where a portion of the days’ proceeds will be donated to the Mooseheart residential home in Batavia. 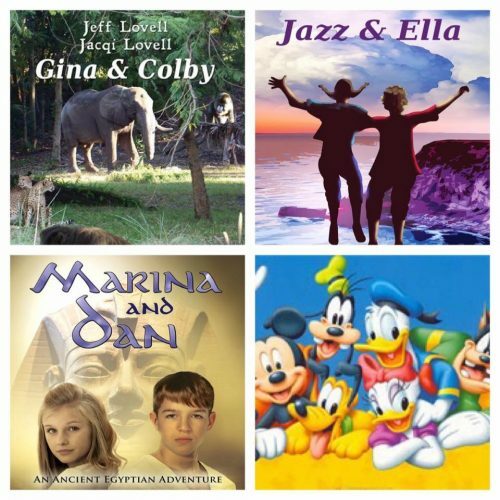 Our Mouse Gate books are designed to spark the desire to read as well as the imagination of 8-12 year olds. The books are filled with high adventures, always revolving around vacations in Disney World where many fun details about the parks are included. The teens in the books always have heroic time travel experiences that foster courage, helping them to gain confidence in their everyday lives. At the same time they gain some knowledge about the places and times they visit. Our books are always available from major book outlets, including AuthorsBookBeat and Amazon, should you be unable to come to our signing. 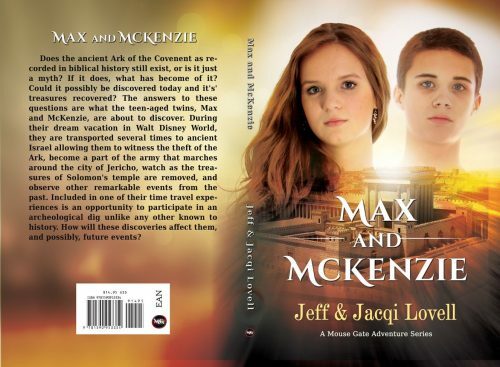 New Mouse Gate book, Max and McKenzie, is now available for purchase. Our latest adventure includes time travel to ancient Israel where a set of twins experience harrowing events leading to the discovery of the Ark of the Covenent during a WDW vacation. Does the ancient Ark of the Covenent as recorded in biblical history still exist, or is it just a myth? If it does, what has become of it? Could it possibly be discovered today and its treasures recovered? The answers to these questions are what the twins, Max and McKenzie, are about to discover. During their dream vacation in Walt Disney World, they are transported several times to ancient Israel allowing them to witness the theft of the Ark, become a part of the army that marches around the city of Jericho, observe the treasures of Solomon's temple being removed, and observe other remarkable events from the past. Included in one of their time travel experiences is an opportunity to participate in an archaeological dig unlike any other known to history. How will these discoveries affect them, and possibly future events?